Located in San Blas, known as “barrio de los artesanos”– the artisans’ quarter– X.O Art House Cusco is in a superb location. Away from the usual tourist haunts, explore the unique offerings of San Blas such as Sacsayhuaman and Korikancha, before enjoying a meal at the well-loved Paddy’s Irish Pub. The peaceful X.O Art House is the perfect retreat after a long day exploring the streets of Cusco. 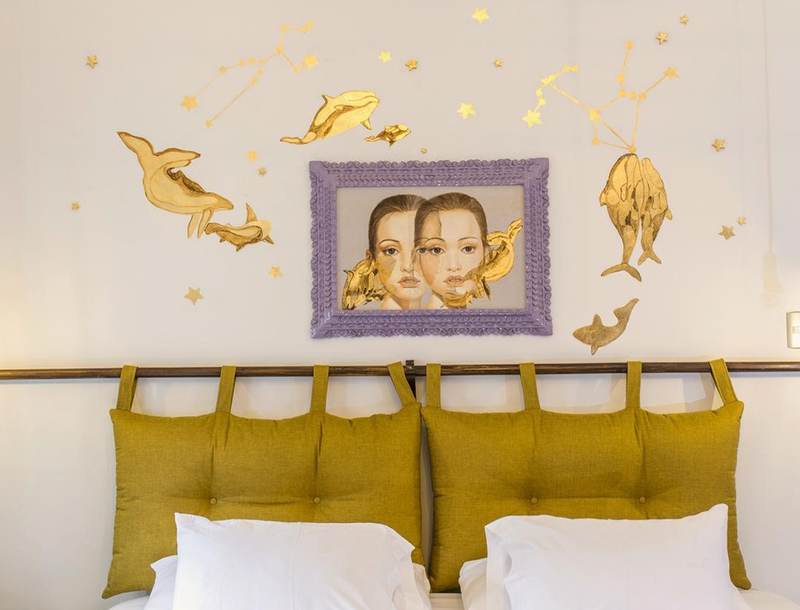 After recently opening in December 2018, X.O Art House brings a fresh approach to travel accommodation. The Hotel was once a traditional Spanish colonial style house (casona) and now, converted boasts authenticity and style. The property offers seven guest rooms, both superior and superior deluxe. Relax in luxurious surrounds in the heart of bustling Cusco. Enjoy modern amenities as well as round-the-clock concierge services in all rooms. Start each morning with a delicious continental breakfast in the quaint courtyard. X.O Art House Cusco provides you with an intimate 5 star stay in a picturesque location. If you’re travelling in a larger group, why not consider renting the property in its entirety. For those looking for a last minute adventure, you can rely on your host. They can organise and recommend local tours, restaurant reservations and nearby activities that will be sure to delight! Furthermore, if you’re a contemporary art lover and are looking for a modern style hotel, X.O Art House Cusco is perfect for you! A nearby studio, Totemiq have provided the artworks for each room. Each exquisite painting, photograph, sculpture as well as handicraft has been hand-picked to complement each room. Staying at XO Art House, you can expect to gain great insight into the artistic style, flair and skills of the locals. Mountain Lodges of Peru boasts three striking properties, all located in Cusco. These include El Retablo, El Mercado and X.O Art House. Each has a strong but distinct artistic focus that is carried throughout the property. Similar to X.O Art House, El Mercado features stunning focal pieces decorating the rooms. However, El Retablo is adorned with retablos and floral art. Maintaining a strong connection with the local communities is a value Mountain Lodge Peru heavily promotes. Here, they support the Fine Arts School of Cusco and the Totemiq consortium. So, if you want to engage with the local art scene and support up and coming artists, our South American Travel Specialist, Gisel, highly recommends X.O Art House!